We have children programs available starting as young as 8 years. Ask us about our Bubblemaker, and Seal Team programs. We accept youth as young as 12 years old in our Junior Open Water Diver program. Are you interested to try scuba diving, without committing to the full course? The Discover Program is perfect for you, and we offer it regularly in Fredericton and Bathurst. This is also a great team or corporate event option, we do schedule for private groups. 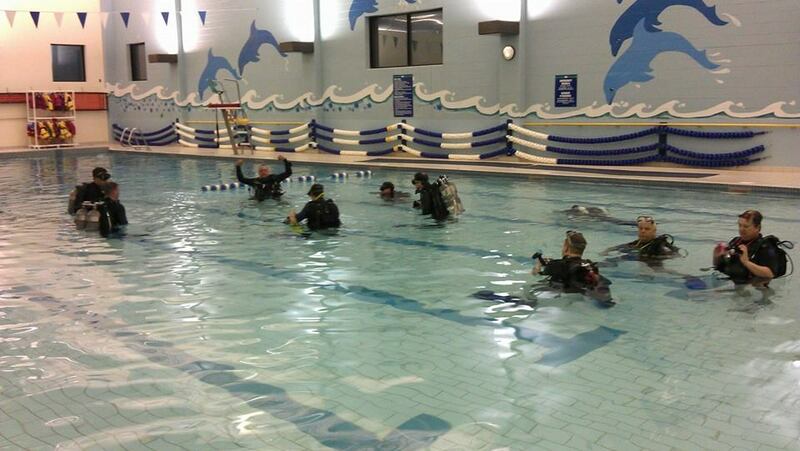 Our basic Open Water Diver program and Junior Open Water Diver program starts your path as a scuba diver. If you are a certified diver but have been inactive for a while, or just feeling rusty on skills.. we have just the thing. We have theory review options, skill review in the pool or open water. PADI divers have the option for the Reactivate program, and receive an updated certification card! Specialty diving, Master Scuba Diver rating.. whatever your passion we have the course for you to develop your diving skills! We have Sidemount dive course options for both recreational and technical divers. If your interest is in deeper, technical dives such as decompression diving, advanced wreck diving, or cave diving.. we have a course series that will take you through including Trimix certification. COJO Divemasters and Instructors are some of the best that PADI has to offer! Find out how to join our team. We have a full course offering for First Aid & CPR providers, including NB Workplace First Aid programs. If you are looking to instruct, we have programs available for First Aid Instructors. Students are responsible for their own transport, lodging and meals to attend all training. We do not offer refunds or credit for course cancellations. If a student needs to postpone training, we offer the opportunity to register to a later class, however a change fee will apply at registration time. Common reasons for cancellation requests are schedule conflicts, and the need for physician signoff on the medical form. BEFORE registering for the course, students are expected to ensure they are available for ALL training dates listed and determine whether or not a physician approval is needed, and ensure physician appointments are made in time for the course.